Indulge at this fine Thai fusion restaurant in the heart of the North Hobart strip. Operating since 1990, Thai native and experienced chef Sumana Sritawat Dowling is now at the helm, bringing the best of Thai cuisine to her local community. The recently renovated restaurant is warm and welcoming with modern décor and a friendly atmosphere. The menu is extensive and includes banquets, noodles, desserts, vegan and vegetarian options. 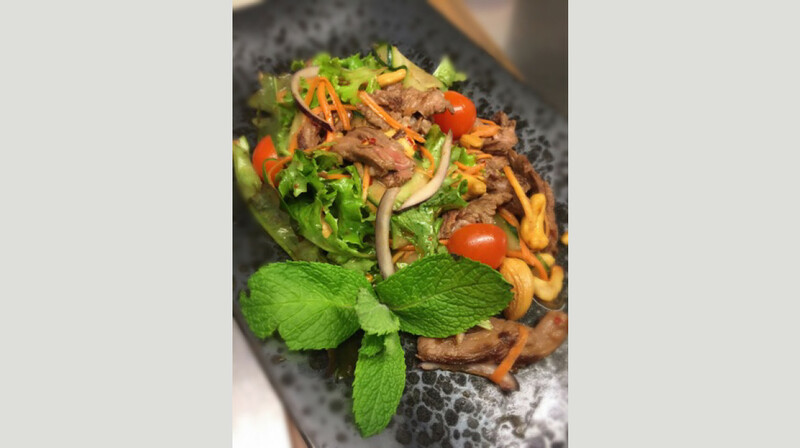 Taste sesame duck, whole snapper pla tod or Vanidols' special duck wrap, also available as a vegan option. Vanidols never fails to impress! The food was amazing and service was great! It’s definitely my go to for a good meal and evening. Thanks again! The share platter for entree was amazing & the mains were even more special. I must say this was the best Thai restaurant I have ever been too. Excellent from start to finsh. Service was fantastic too. A must experience if you are in Hobart. Will be back again for sure. Coconut chicken curry was absolutely beautiful. Nice restaurant with friendly staff. AMAZING!!! Such authentic cruisine, genuine service and homely atmosphere. The owner (we think) was SO helpful, friendly and warm from the moment we stepped foot through the door. Couldn’t recommend this place enough. Excellent meal, it spice was just right for my children and I. A great meal. Fantastic food, our first time using First Table but not the last! Must try the duck wraps, they were outstanding! Very nice entrees. Quick and friendly. Great meal, will definitely use first table again. Always a great experience here. Delicious fresh food and amazing friendly service. Couldn't recommend Vanidols more highly. We had a great time to have dinner. There were many selections of menu. We had 2 entrees, 2 mains and a dessert which were a full of flavour and appetising presentation. We thoroughly enjoyed the experience of the restaurant. Food was delicious. Staff recommended one of the specials and flavour didn’t disappoint. Food was fresh and so scrumptious. Will definitely go again and again. My first First Table booking, and very happy with it! I booked Vanidols (North Hobart) to catch up with some old friends I hadn't seen for years. The service was warm and friendly, the food and presentation fabulous - I had the crispy roasted duck which comes with steamed brocollini in a delicious sweet and sour sauce and a little garnish salad - and really importantly for us, the decor isn't all hard edges and polished floors, which meant we could have a great conversation at the table. My friends had the red curry duck, the tom yung goong soup , and the fried rice with vegies, and everyone was happy. It's a BYO restaurant but we had mocktails made in-house - highly recommend the virgin mojito, really refreshing. My only improvement would be to ask if the customer actually wants a straw, or to use paper straws, but I say that about all restaurants and bars. We had an amazing meal and could not fault the food. We shared the duck pancakes wrapped in a crisp roti (superb!!) and lamb cutlets for entrée and for main course a 'to die for' snapper which was absolutely mouth watering and the chef's special duck stir-fry. The service was excellent and our waiter really helpful and friendly. I couldn't recommend the whole experience more highly and we will certainly be back!! Amazing food always! we love this place, great service too. Lovely service, nice setting, food was good, would be nice to have more flavour punch and more chili. The restaurant was freezing cold though and air conditioners pretty ineffective. We'll come back, try some different dishes and perhaps on a warmer night. 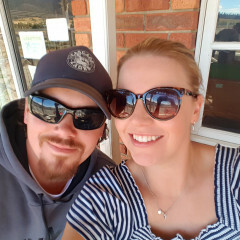 We had a lovely time, service and food were excellent! Just the right amount of heat. Excellent food and service. Took our 9 month old baby and they were very accommodating. Highly recommend the duck roti! But because we were the first diners the restaurant was freezing! Delicious food, attentive service, and a really nice location to boot. What else can you really ask for? The tomyum is one of the most flavourful renditions of the dish we've ever tasted. Great food, will definitely be back. It was a wonderful experience, as expected. Vanidol's is a Hobart icon both as one of Hobart's oldest SouthEast Asian restaurants and one of the mainstays of North Hobart's restaurant zone. We've both eaten at Vanidol's before and arrived with high expectations. We weren't disappointed. For our entrée, we shared some delicious serves of curry puffs and chicken satay sticks. For our main course, my wife had the Bali Ayam (a chicken curry) while I had the Beef Massaman. Sampling each other's main courses, both were excellent. As they say in Thailand: Aroy! And thanks to First Table for making this delicious meal available at half price. We'll be back: both to Vanidol's and to First Table. Food was lovely (although a bit heavy on the carrots) and service was good. I didn't realise it was BYO however this was remedied by a quick trip to the bottle shop a few doors up. Waitress very friendly. Food was amazing. We were really impressed with the food and service. All the old favourites are still available as well as some great new dishes. A wide range of options across the menu for vegans too. Great experience at Vanidols. Haven't been for years. No issues with being a first table customer. Orders were taken quickly and the service was attentive. Food was freshly cooked and tasty. Will be happy to return. This is my second time visiting Vanidols and I will definitely be returning for a third visit. 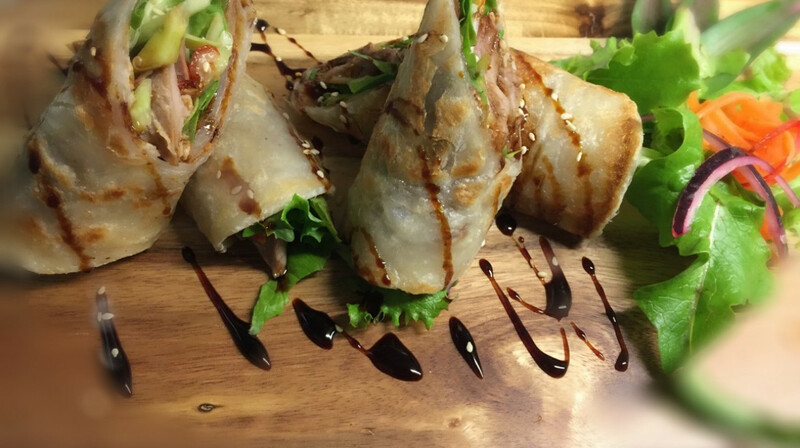 We tried the caramelized pork and fresh spring rolls as entrees. The caramelized pork was aaamazing! It was a perfect sharing size! Then we shared the main fried rice with prawns and chilli jam. I will be ordering this main again. There was a lovely young lady serving us, which made our experience even more enjoyable. We really enjoyed our visit to Vanidol's. Eddie gave us excellent service and made great recommendations - the duck wraps were delicious. The Pad Thai and Mussaman Nuer were really tasty, and the servings very generous. There is also a good variety of dishes on the menu. Worth a visit! We had a great time. Good food great service. We will be going back. Excellent food and service. Correctly priced, lovely experience - family friendly! This was our 2nd time visiting Vanidols. The young wait staff are always friendly, polite & helpful. I had the vegan duck wraps for entree & a vegetable red curry for main. The red curry was full of flavour and the veggies were fresh. My partner had a main size seafood laksa for entree (it was huge!) and the seafood massaman curry for main. He said both meals were really good, the massaman was just a tad sweet for his personal preference (he still finished it though!). We shared some crispy, flaky roti breads (1 for me and 2 that came with the massaman) and a serve of coconut rice. We would definitely be happy to pay full price for these meals under a regular booking! Second visit here. Beautiful fresh food. Lovely service. We'll definitely return. great value especially with the byo. Lovely evening with sensational starters of chicken satay skewers, scallops with 3 spicy sauces, amazing soups and their famous duck wrap. The mains pork belly and duck were tasty, albeit a bit overcooked, but we didn't mind as the service from a young waitress called Willow was truly exceptional. We will be back! Vanidols has had a make over since i last visited. The decor is sublime with mood lighting and tasteful background music. The good was as delicious as it has always been and excellent service. We didn't feel rushed to leave even though we were the first table of the evening! Cosy restaurant, attentive service, and delicious food. We will be back, and bring friends. We were met by a very friendly waitperson, who was perfect in his manner, not too over the top ,but enthusiastic enough to make us feel comfortable and happy to be there. Even though it was an early sitting the ambience was warm and welcoming with conversation flowing easily. Entrée was huge and we were glad we had decided to share, although after one bite I am sure I would have made it through one all to myself , as it was that delicious. 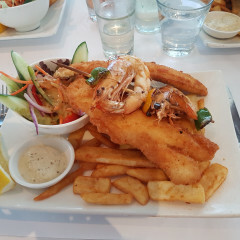 Main was again outstanding , flavours beautiful combined and the seafood fresh and cooked perfectly. Timing was perfect for our Movie at the State , nailed the time between dishes and no complaints at all. We will definitely be revisiting First Table and Vanidols again. Could not fault our experience at Vanidol's Thai & Fusion and can't wait to return. All our meals were well presented, fresh and perfectly balanced. Plenty of choices, large entrees, great selection for vegans available and all of this came with friendly, caring service. Best Thai meals, well done to this Restaurant. Beautiful food as always. Great atmosphere and value for money. The waitress was very attentive and sweet. Food was, as always yummy! !